•	Do not activate your emergency heat often. Therefore do not set back the thermostat that can often cause backup heating to come on. This will drill deep hole in your pocket. •	Do not operate indoor fan continuously. It will vitiate its performance unless the pump is of high efficiency. You should set the "auto" fan option on the thermostat. •	Buy a programmable thermostat with multistage functions suitable for a heat pump. •	Wash or clean the filter at regular intervals. Read the manufacture’s manual to determine the right interval. Dirty coils and filters reduce air flow. This will bring down scooling and heating levels. It can damage your system's compressor. •	Clean outdoor coils whenever they appear dirty. Sometimes bushes and shrubs smother the outdoor unit. Trim them. There should be enough airflow around. The units also get cluttered in dust, lint, spider webs, moths, mold, bacteria, algae etc. 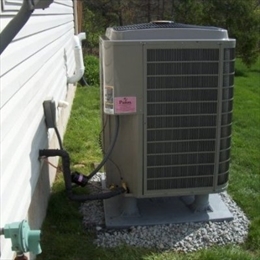 These can have a negative impact on the operation, running costs, noise levels, health, and longevity of your system. •	Clean the supply and return registers in your home. It is them that allow air to come into your rooms and leave it through the ducts. Straighten their fins if bent. •	Remove the covers from the internal and external units and clean and disinfect the coils of debris. •	The electrical boards of both indoor and outdoor units should be checked for short-outs and insects. •	The fan scrolls of both units should be inspected for balancing issues. 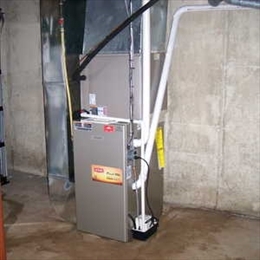 •	The condensate drain should be cleaned and flushed; the drainage pans should be cleaned. •	Clean or change the filters in the internal unit. •	The insulation blanket of the external unit should be inspected. •	The amperage should be checked for any excess amperage. •	Check the level of refrigerant charge. Inspect the system for refrigerant leaks. •	Inspect the terminals, clean and tighten the connections. •	Lubricate motors, and inspect belts for wear and tear and looseness.